Even though I loved Who Wants To Be A Millionaire as a child, I was only 5 when the whole scandal occurred, and whilst I vaguely remember it, it wasn’t the forefront of my mind at the time. Just one day after the filming of the episode in question, 9/11 occurred and that definitely took over my thoughts as an almost 6 year old child. The pop culture references will definitely sit better with people in their thirties and forties, and I honestly think I’m a little young to appreciate it all. I mean, how was I supposed to know that Tony Blair’s re-election in 2001 was the lowest voter turnout since the early 1900s? Although I definitely appreciated the nod to Steps. Here’s the thing – Quiz questions everything we thought about the scandal. We saw briefly into the backstory of Charles and Diana Ingram, and their story without the media presence. Whilst this is an imagination of the real life events that transpired, it’s wholly believable. We see how the media, and the people behind it, are able to manipulate what we receive as viewers or readers. There are always two sides to every story, but there will only ever be one truth. So maybe the Ingrams, and a few others around the country, did try to find loopholes to get onto the show, but we may never know whether they truly tried to scam the production company out of one million pounds. We know the verdict, but the audience when I saw it may or may not have agreed with what the jury found. With an 11 strong cast alternating almost 30 different roles between them, it’s a little bit confusing to work out who is who at times. It also requires a fairly good understanding of British TV show hosts of the 20th centry (not too difficult if you’re a Brit through and through, but this may be a little lost on the more touristy audience member). Keir Charles honestly made the show, with his impression of Chris Tarrant being as spot on as it could be whilst still giving it a comedic lift. In fact, the cast as a whole really lifted everything. With a variety of accents and impressions, they’re definitely a talented group! I just want to make a quick note on the seating: there is on stage seating available for each performance. Mimicking the audience circling the contestants on Who Wants To Be A Millionaire, the on stage seating is a really interesting place to sit. But like I talked about when I got to take a behind the scenes look at the return of Bat Out Of Hell to the West End earlier a few weeks ago, I am really nosy about staging. 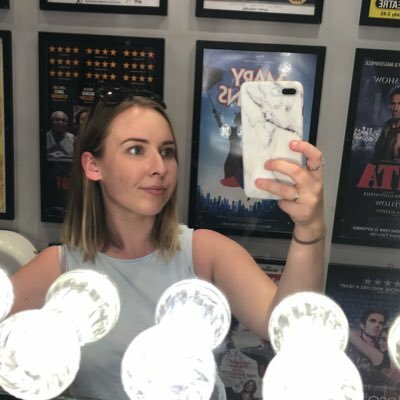 I loved being sat on the stage in what is 100% my favourite West End theatre (I fell in love with Half A Sixpence there, it was the location that I saw my first non-Shakespeare play and got to meet Jonathan Groff so the Noel Coward will always have a special place in my heart). I got to look out to the comfiest seats in the West End, looking up to back of the balcony where I have sat on more than one occasion. I got to peak up into the rafters to see the sheer height of the set. I was able to look at the signage in the wings that the average person would never normally get to see. I was even part of the audience participation that let me stand centre stage, all lights on me. Okay, I haven’t performed in about 6 years, but it doesn’t mean I don’t appreciate being part of a staging. And I got to do it in my favourite theatre. Thank you Quiz, for letting 15 year old Sophie’s dreams come true. Also I’m sorry this was the longest paragraph of the post, I’m just really appreciative in a total theatre nerd way. Whilst Quiz may not have been the most fast paced production in the West End right now, it was definitely fresh. It was riddled with audience participation, allowing even those at the back to get involved as much as you can in an 800 strong auditorium. It was an excellent piece of thought-provoking writing by one of the UK’s hottest playwrights right now. James Graham did a wonderful job at proving that nothing is as clear-cut as it initially seems, with voting pads to show how the thoughts of the audience change throughout the performance. Quiz is currently running a limited season at the Noel Coward Theatre, until 16th June 2018.